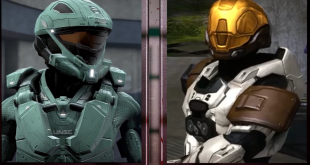 Longtime fans of Rooster Teeth’s flagship Red Vs. Blue web series have probably heard of Joel Heyman, the eccentric voice actor of one of the most prominent characters of the series, Captain Michael J. Caboose. 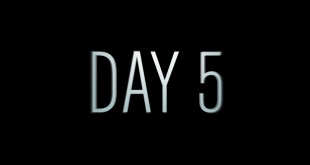 Unsurprisingly, he was featured in most of Day 5’s pre-release promotional materials (at least when Day 5 was first announced), although he has been noticeably absent for the majority of Day 5’s episodes thus far. In episode 4 however, Joel makes his debut as Bill, a seemingly normal man who is trying to make the last few moments of humanity’s existence tolerable. As expected, Bill gets a fair amount of screen time for being such a new character (given Joel’s performance as Bill, this isn’t a bad thing), although his significance in the story is not as cut and dry as it may seem. This adds a slight degree of mystery to his character, and in a world where everyone’s either trying to find a cure or kill everyone else or take every drug known to man, the fact that Bill is more or less normal is actually somewhat of a surprise. As a result, even if you are not familiar with the name of Joel Heyman, you may find yourself thinking about Bill. 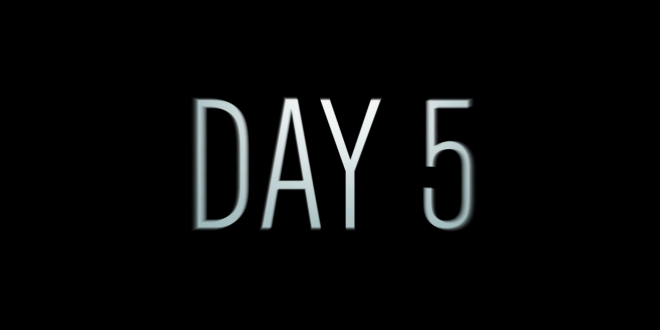 Despite Bill’s prominence in this episode of Day 5, the plot ultimately revolves around Jake, Ally, Sam, and Ellis and their attempts to find a cure to the end of the world. This means that you should expect a lot of plot progression in episode 4, with plenty of old questions being answered and a whole host of new questions being raised along the way. Of course, this shouldn’t be too much of a surprise since our protagonists are nearing what they believe to be the origin point of the apocalypse, but it’s not as straightforward as you or they may think. There are still plenty of other survivors out there who can hurt or help the protagonists, and their existence is a welcome reminder that the main characters aren’t the only ones who have the right combination of luck, perseverance, and intelligence to make their way through the new world that they find themselves in. Speaking of other survivors, episode 4 is slightly more lighthearted than all of the previous episodes thanks to the introduction of several new characters; a fresh change of pace from the usual doom and gloom that permeates Day 5. You may not be laughing your way through this episode, but the slight difference in tone is just enough to give a sense of how some of the survivors are coping with the end of the world. Unfortunately, the influx of new characters does mean that some of them may feel somewhat generic or overlooked (mostly due to time constraints), but one can only assume that they will play a more prominent role in the next episode. That being said, episode 4 of Day 5 does do something that none of the other episodes do: it introduces a wide range of characters who are more or less neutral in their disposition towards the main characters, cooperating mostly because it would be mutually beneficial to do so. While it would be impossible to say if this is more realistic than some of the previous characters who are either unconditionally benign or evil, it certainly helps create a more interesting story where some people aren’t necessarily trying to save the world. Instead, all they want is to survive just long enough to make their last days on Earth worth living. Should you watch it?- Sure, if nothing else, watch it for Joel Heyman’s performance and his character’s story arc. 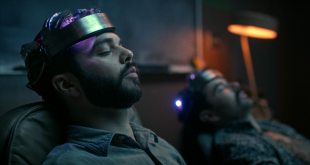 Day 5 episode 4 will be available on July 17, 2016 for Rooster Teeth sponsors, with subsequent episodes releasing weekly. You can sign up for a free 30 day Rooster Teeth sponsorship trial here.